On a warm and sunny spring day Nigel and Lijun tied the knot on their family’s farm. 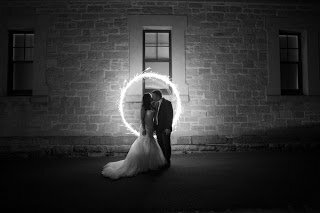 I was lucky enough to bring music to their wedding reception held at the Mylor Hall in Adelaide hills. The room was set up with some basic but beautiful decoration and filled with light from fashionably decorated light bulbs hanging from the ceiling. Nigel and Lijun’s wedding was certainly a celebration of international love. Some very touching speeches from the bride and groom themselves and from the parents and the best man made many of the guests cry. Nigel and Lijun found true love and were able to grow their relationship despite cultural differences and a long distance relationship for some time. During dinner, I was playing some acoustic tunes. Once the couple had cut the cake and everyone had finished their dessert it was time for the couple’s first dance. They had asked me to play Ed Sheeran’s ‘Perfect’. It was just wonderful to sing while Nigel and Lijun were dancing for the first time as husband and wife. Congratulations to both of you and thank you for letting me bring music to your special day. I wish you all the best for your married life and a long and happy marriage. This entry was posted in Weddings and tagged bestliveweddingentertainment, bridalwalk, bridalwalz, ceremonymusic, firstdance, receptionmusic, weddingDJ, weddingmusic, weddingssa, weddinsingeradelaide.